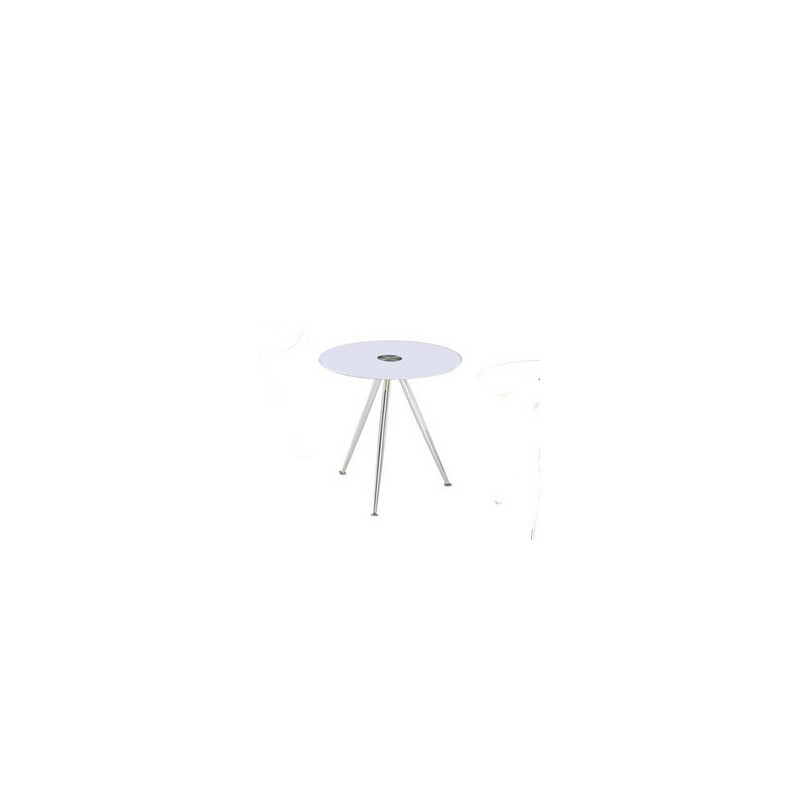 Coffe table in white colour. 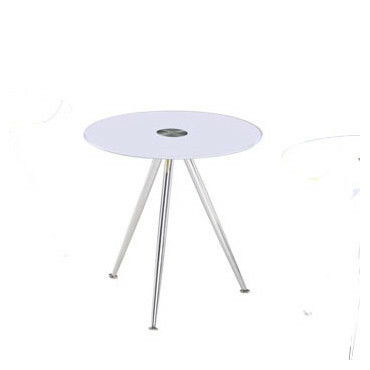 Top table is from tempered glass; thickness 8mm. Legs are chromed.